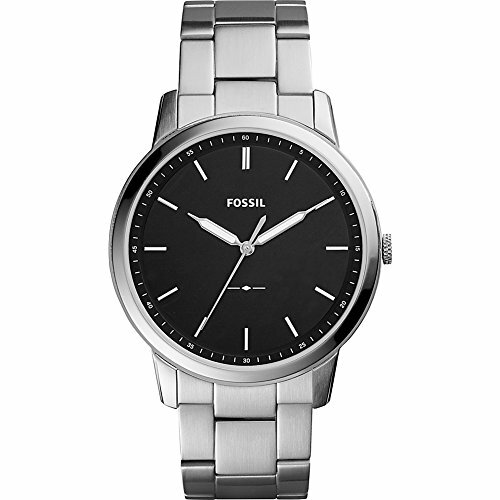 A clean look never goes out of style with this sleek watch from Fossil®! 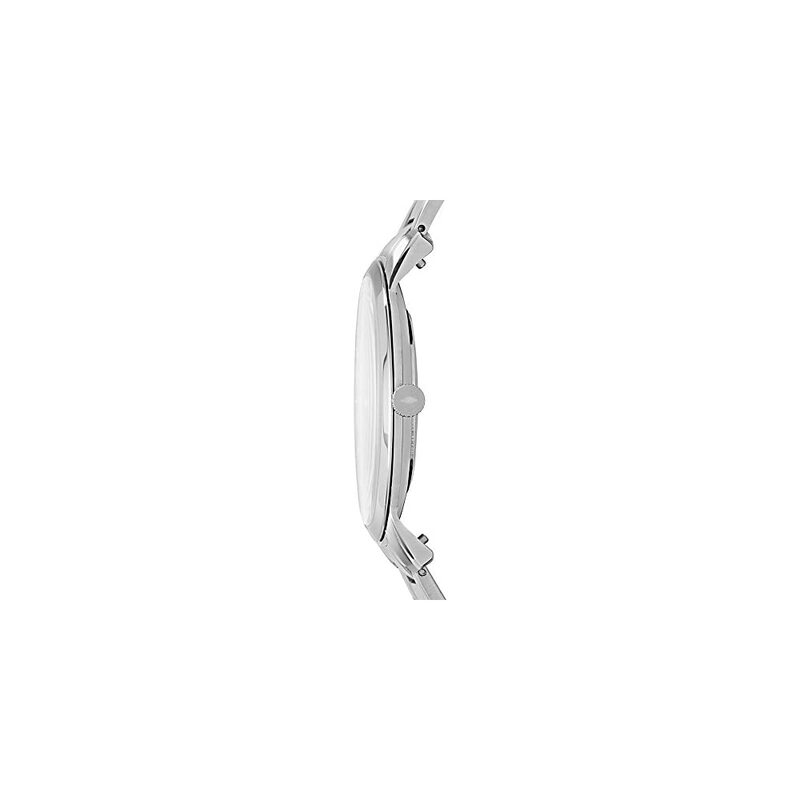 Chain-link bracelet with fold-over, double, push-button release closure. Breathtaking black dial features silver-tone hands and hour markers, minute track, and Fossil detailing. Blue second hand adds the perfect pop of color. Nice watch good price durably made pretty looking too. Nice watch,strong filling,didn’t break when grandson threw it,so when it passes that test its a good buy. 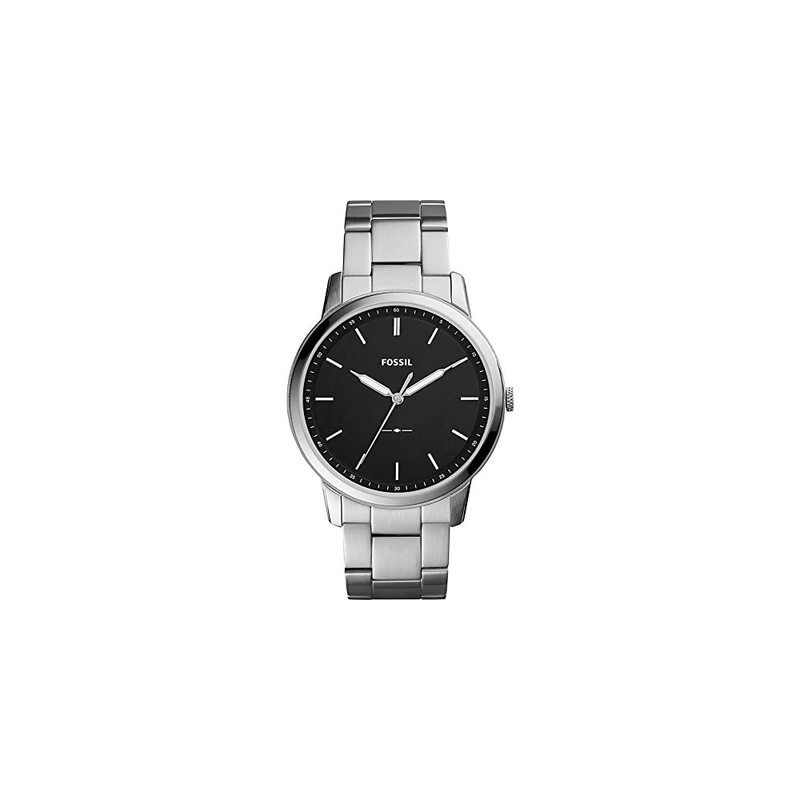 A solid basic watch that will get the job done and will look nice on your wrist. 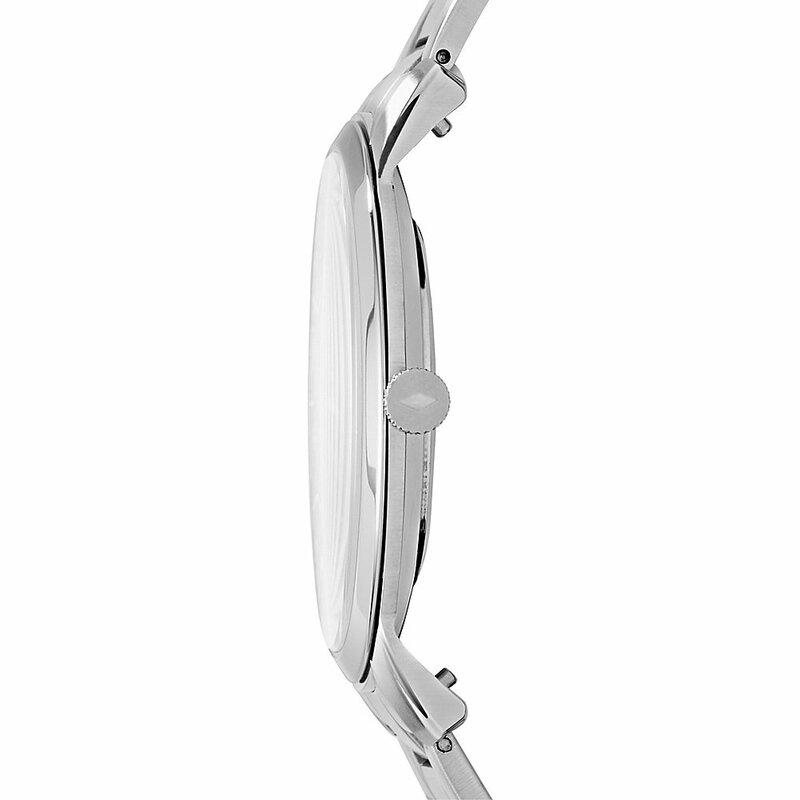 However, you can purchase cheaper basic watches at various department stores.